Flu season is upon us, and everywhere we turn we are reminded to get the flu shot. It truly couldn’t be easier. You can get the flu shot at your local pharmacy, some employers offer it during work hours, and the Student Health Center distributed a campus email Jan. 17 informing students that while it ran out of its 600 doses of flu vaccine at the end of October, it had just received 100 additional doses. In that email, it was stated that about 7 million Americans have contracted the flu virus in the current season, and it’s particularly important for students with asthma, lung diseases, and other chronic illnesses to get the flu vaccine, but that everyone 6 months of age and older should receive the shot. No one disputes how serious influenza can be (last year the Center for Disease Control and Prevention (CDC) reported it was the first season to be classified as high severity across all age groups) largely because the strains are different each year. But there are skeptics who feel that the cure can be as bad as the sickness. 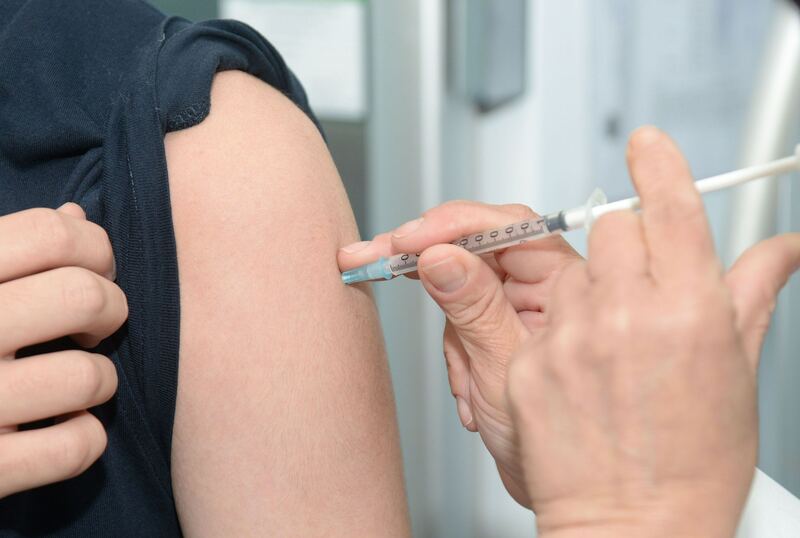 While the Student Health Center urges everyone to consider getting the vaccine and says that no one can contract the flu from the shot, since it is a dead virus injected into the body, the reality is that the flu virus can often mutate after a vaccine is created for it, rendering the shot useless or weakening its effect. Additionally, the purpose of the flu shot is to protect against infection with the viruses that are in the vaccine. But the CDC says that it can take up to two weeks for those antibodies to develop, meaning if someone was exposed to the flu shortly before vaccination, they may get it. Additionally, there are other flu-like illnesses, such as a serious cold or stomach flu, that the influenza vaccine doesn’t protect against. Student opinion on campus ranges from those who would never think of getting a flu shot to those who think everyone should. Valeri Sanchez, 22, a human services major, said says she has received the flu shot before but wouldn’t get it again. Other students believe that the vaccine should be mandatory. If you are interested in getting a flu shot, the Student Health Center is offering free vaccinations for students and $15 vaccines for faculty and staff. They are open Monday, Thursday, and Friday from 8 a.m.-5 p.m. and until 6 p.m. on Tuesdays and Wednesdays. Regardless of whether you get the shot or not, there are simple preventative actions you can take, such as avoiding contact with someone who is sick, staying away from people while you are sick, covering your nose and mouth when sneezing or coughing, and always washing your hands thoroughly.